The meal started with a series of snacks. 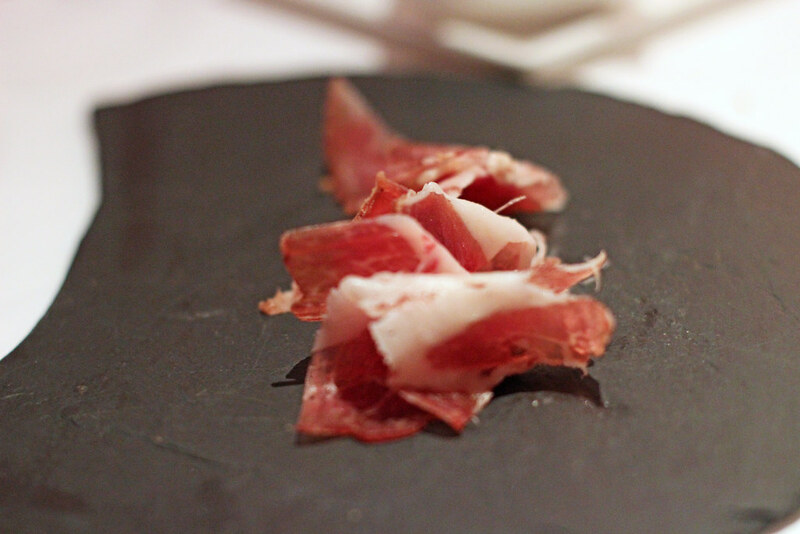 First, a few curls of house-made coppa, gorgeously fat-marbled, intensely porcine slivers of cured pork collar. 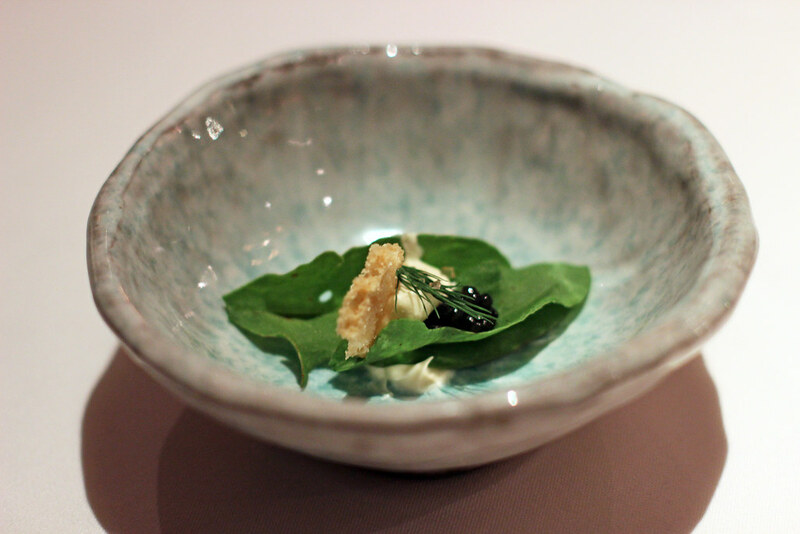 Next, more delicate and subtle, a leaf of sheep's sorrel commissioned to serve as a vehicle for dollops of paddlefish caviar and creme fraiche. The fresh green tartness of the sorrel was echoed in the lactic tang of the creme fraiche, balanced against the briny roe. Crab is a mainstay of lowcountry cooking: there are nearly two dozen crab recipes in the "Charleston Receipts" cookbook first published by the Junior League of Charleston in 1950. 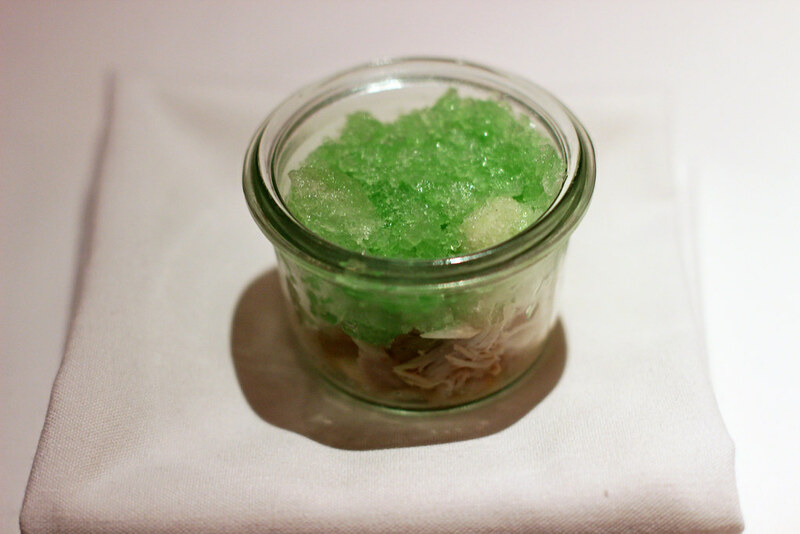 This little "parfait" with layers of cold picked crabmeat, silky horseradish cream and vividly flavored celery ice is not in there, but was a great three-note composition, each bringing a different texture and flavor to enhance the others. 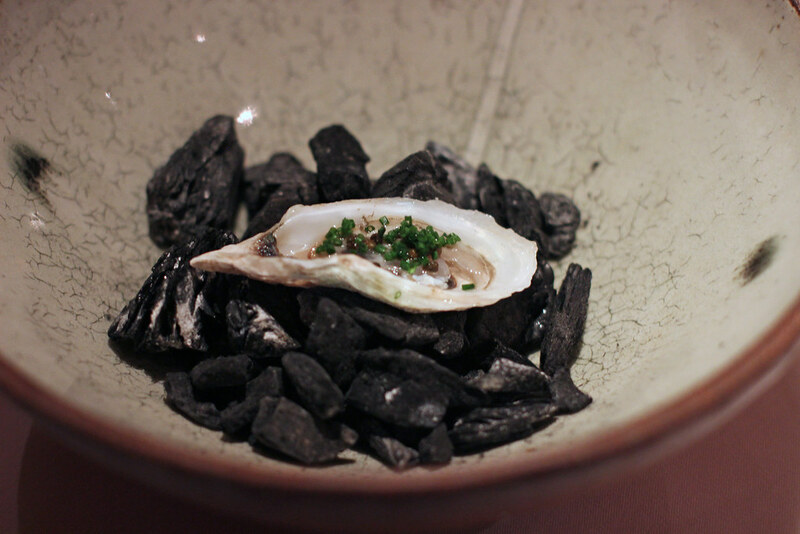 The first course listed on the tasting menu is a perfect example of dish as story. Oyster roasts are a Charleston tradition, usually involving bushels of them steamed open over a wood fire. How do you bring that experience into the restaurant? At McCrady's, they put the hot embers right in the bowl, with a Caper's Blade oyster nestled on top, glazed with melted country ham fat and speckled with elderberry capers. The bowl is brought from the kitchen covered, and its unveiling at the table releases the heady aroma of smoke and sea. Our server explained: "The kitchen wants you to smell what they smell." Me too. 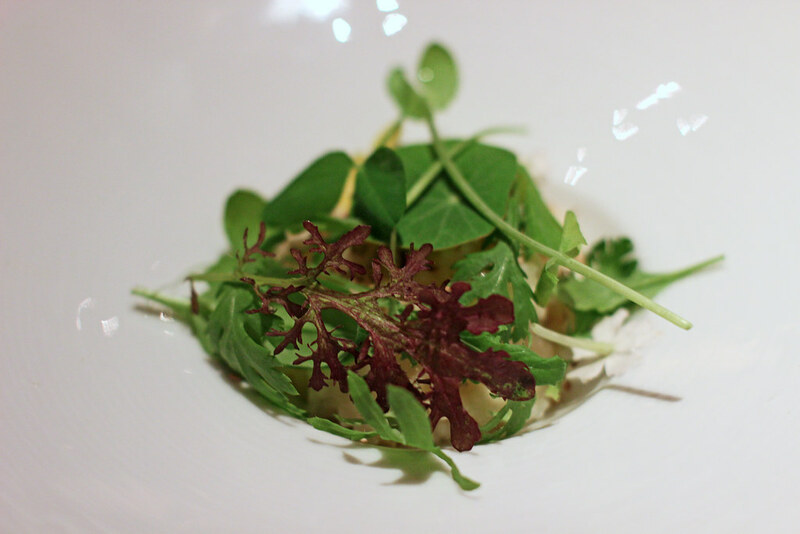 There was less tradition and more whimsy at play in the next course, a composition of sea urchin, kohlrabi, nasturtium leaves and kumquat slivers in a little puddle of vegetable broth. 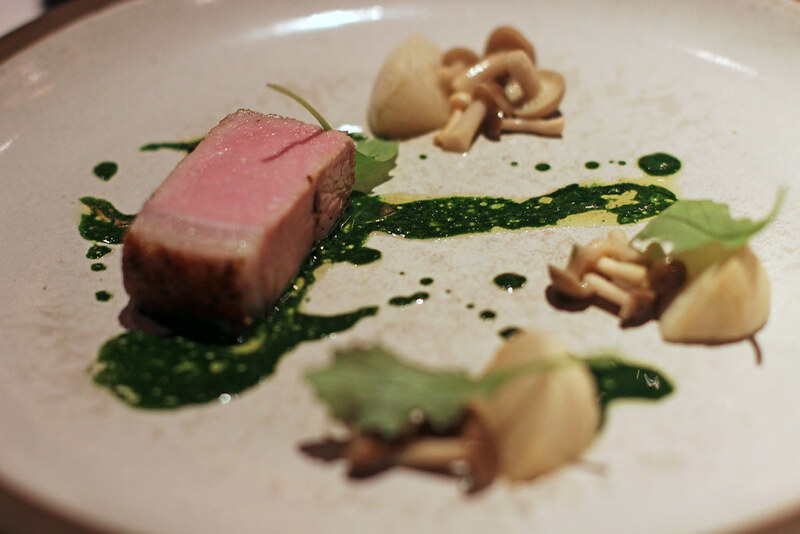 These were very clean flavors, but it was one of the only dishes that didn't really resonate. 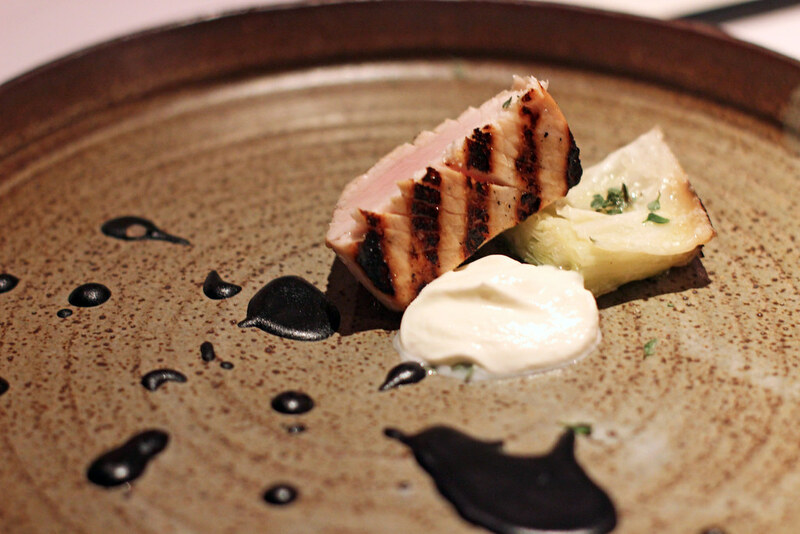 Swordfish, grilled, still pink in the center; cabbage, both grilled and also a silky cream of its fermented juice; and an artful splatter of a dense, viscid black truffle sauce, two earthy elements in harmony with the sea. Yes it was my favorite course - of the evening, and possibly of the past year. Yes it was pretty damn delicious. It's all true, and then some. The rice, infused with bay leaf and butter, cloaked with delicate greens and flowers, still tastes resolutely of itself, and carries in each grain a few centuries of a city's history. This was the platonic ideal of rice dishes. Though the South may be known for its love of the pig, Brock's love of vegetables may be at least as strong. 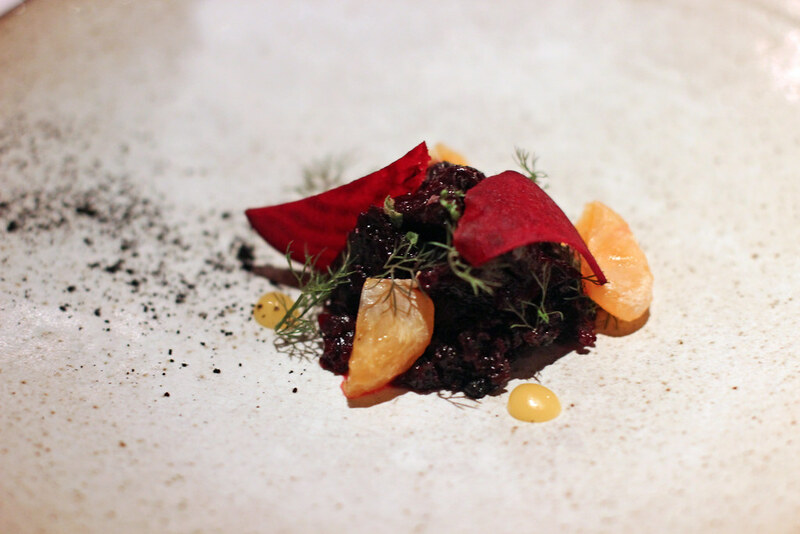 Earthy salt-roasted beets (and a few raw shavings) were matched with sunny satsuma (in segments and a purée), a dusting of cocoa the deep bass note to the perky treble of fresh fennel fronds. There would, of course, still be pig after all: a tranche of juicy pork loin, plated with turnips, beech mushrooms, kale leaves, and a sauce of the juiced greens. I wish I could find a better way of saying it, but there was something so "straight from the farm" about the flavors of this dish: just really clean, pure and hearty, each component tasting unabashedly of itself. Even more so: duck, aged for several days and roasted on the bone, a fat slice of it served with perfectly rosy flesh and equally perfectly crispy skin. 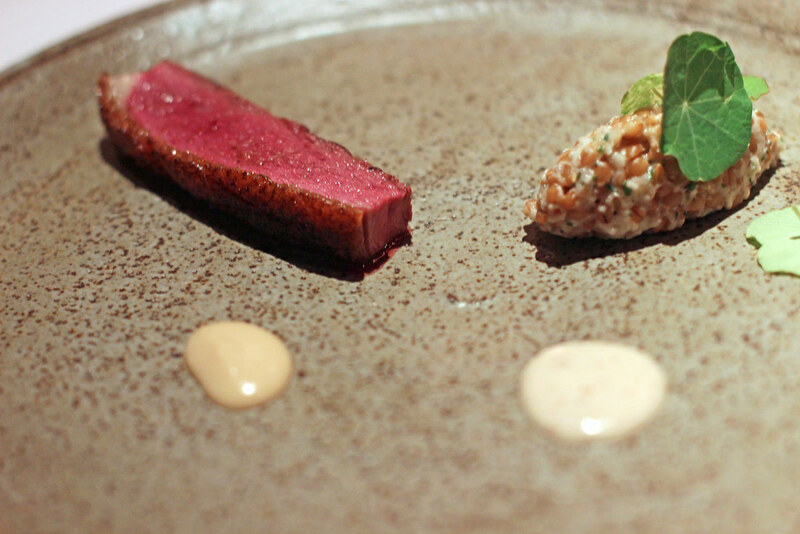 It was paired with creamed farro, a garlic emulsion, and fermented walnut "miso," all of which were nice, but frankly irrelevant: this duck was incredible, maybe the best I've ever had. Simplicity remained the order of the day as we moved into desserts. 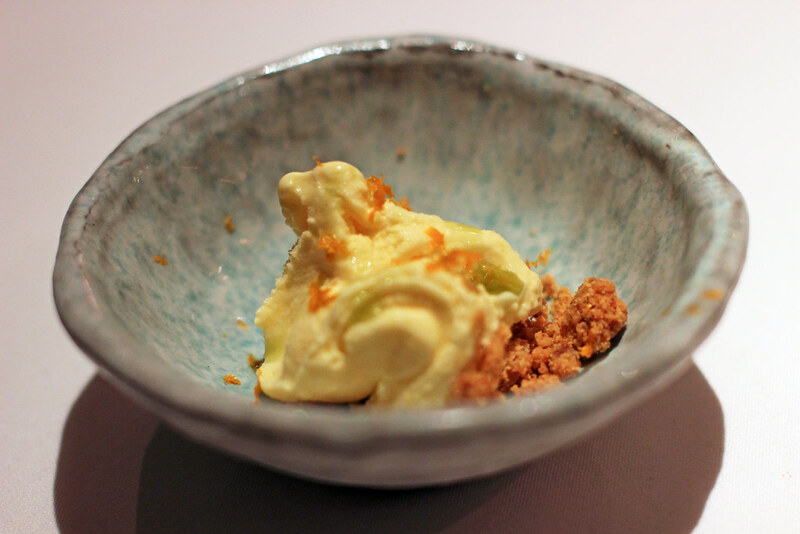 First, a creamy cold satsuma ice cream, spiked with eucalyptus and scattered with crispy brown butter crumbles. 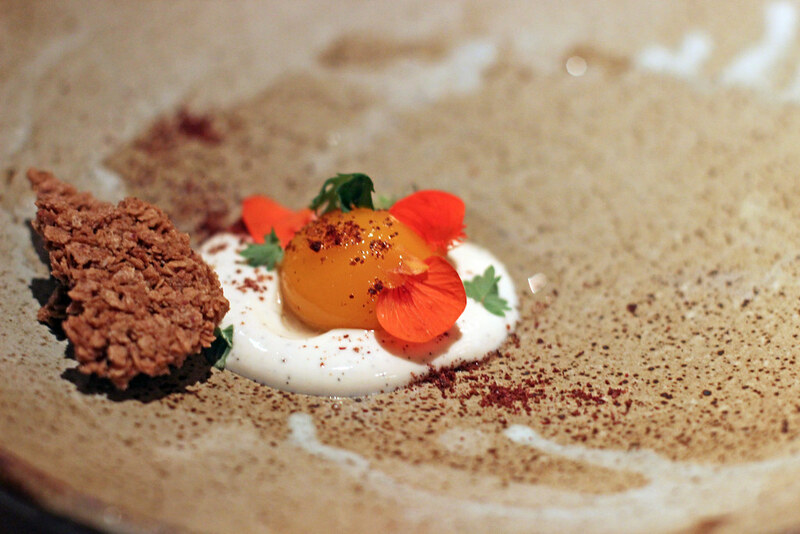 Next, a jasmine-cured egg yolk, nestled in a puddle of a creamy white chocolate pudding, dusted with sumac, decorated with nasturtium flowers, a crispy cookie, almost like feuilletine, riding sideboard. A beautiful closing to a beautiful meal. I would be remiss in not mentioning how every other aspect of our meal - the service, the wine, the pace, the atmosphere - was just as good as the cooking. 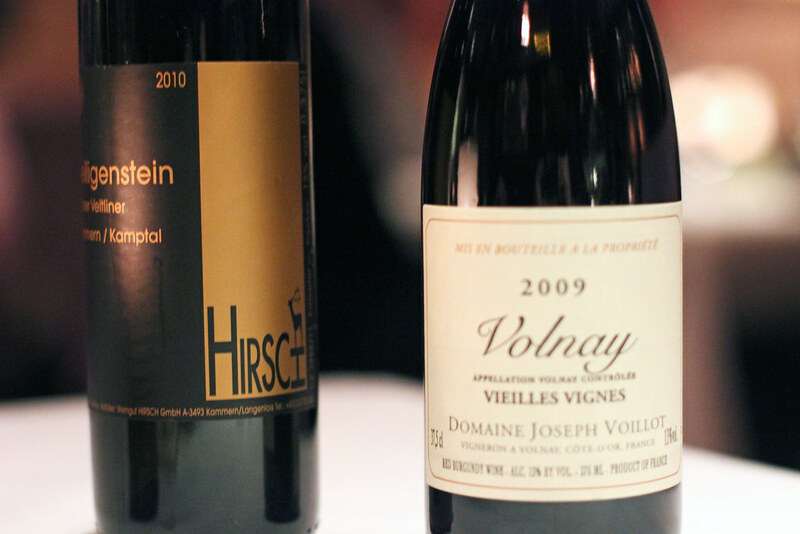 We passed on the wine pairing and instead went with half-bottles each of a white and red, a Hirsch Grüner Veltliner Heiligenstein (2010) and a Domaine Joseph Voillot Volnay Vielles Vignes (2009), about which the wine director was almost as enthusiastic as we were. I always appreciate a list with a good selection of half-bottles. That same enthusiasm is shared by the entire staff, who were warm, welcoming, and knowledgeable. In retrospect, one of the things that stands out most about our meal is that through a dozen courses and snacks, not a single dish had more than three or four primary components. And yet nothing felt "simple" or minimalist. There is a confidence to Brock's cooking on display in every plate. 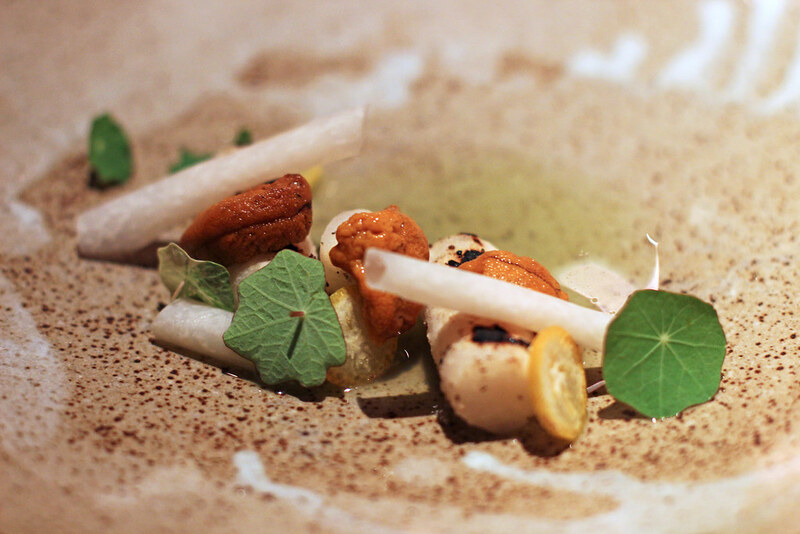 This is what it feels like when a restaurant is at the top of its game. 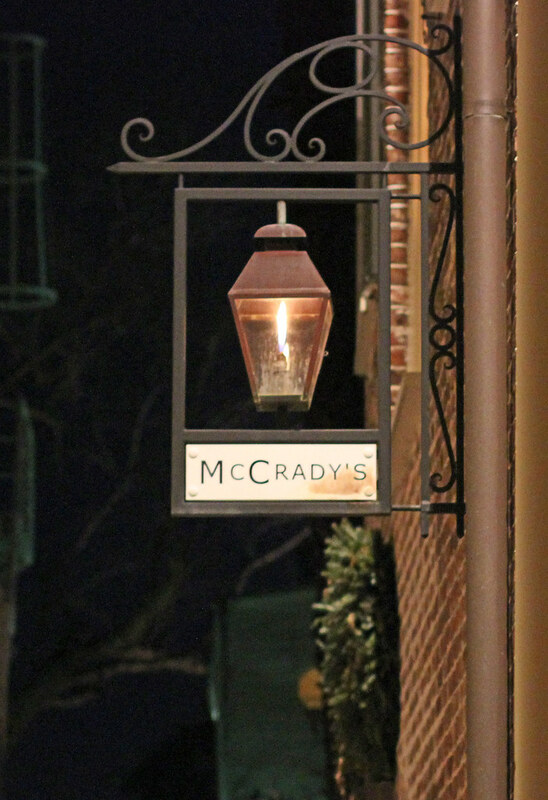 McCrady's is, if people whose tastes I usually trust are to be believed, one of the best restaurants in the country (and I would not disagree), yet it's a surprisingly easy reservation: if you wanted to go there next week, you could book a table at just about any time of your choosing. If you're looking for somewhere to start your own "Grand Southern Dining Tour," it would be a perfect launching point. About which more will follow here. Poole's Diner, Lantern in nearby Chapel Hill. But before either, a lunch pit-stop at Rodney Scott's BBQ in Hemingway, SC. Peter Chang China Cafe, The Roosevelt, Pasture, The Magpie. Proof on Main, 610 Magnolia, The Silver Dollar, The Blind Pig, Rye, Garage Bar, and of course some bourbon sampling. But first, maybe a pit-stop at The Red Hen in Lexington, VA or Local Roots Cafe in Roanoke. 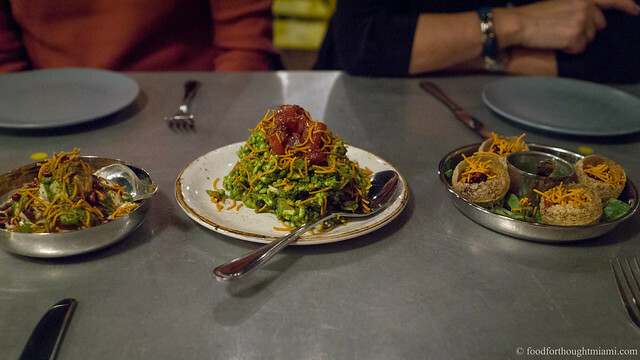 Catbird Seat, Prince's Hot Chicken Shack, Hog and Hominy. Holeman & Finch, Empire State South, Eugene, The Optimist. Clammer Dave's clams and oysters show up on menus all over town, and for good reason. I usually prefer oysters from colder waters, but this oyster could cause me to rethink my preferences. The farro is another of Brock's grain reclamation projects. For further reading: ChuckEats - "McCrady's - Seeds of Muse and Obsession"; and ulterior epicure - "around the world in 18 plates". This is surely at least in part because the newer and more casual Husk is one of the hottest reservations in town.